Once a year, two of our Mumbai whisky groups come together to celebrate our mutual passion for a fine dram. This time, I selected the whiskies – ordered online and brought in by another member for our sampling pleasure. 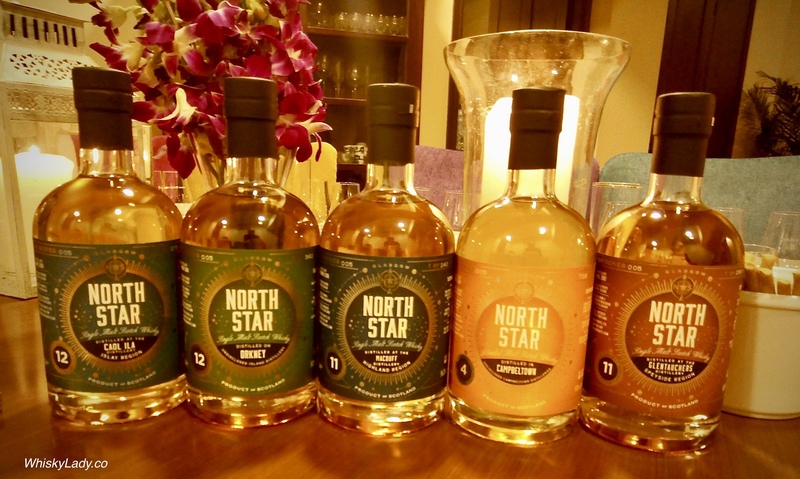 I was inspired by an earlier introduction to North Star Spirits and honed in on their series 5, tending towards the more affordable options available with a nice cross-section from different regions. 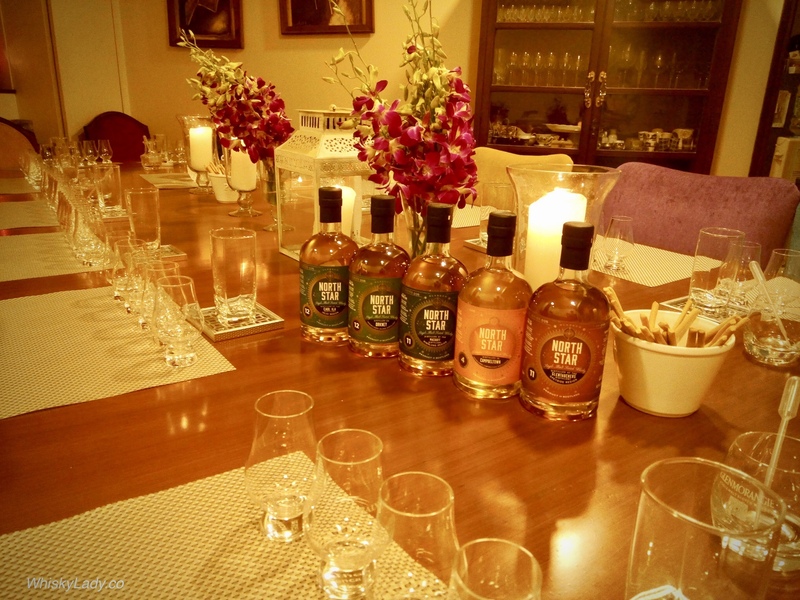 While the Whisky Ladies sponsored the whiskies, the gents hosted our evening in a gorgeous South Mumbai home with a most civilized sit down tasting followed by a brilliantly paired dinner. To put it mildly, the bar was set high! Islay – Caol Ila 12 year (Apr 2006/May 2018) 54.6% – No doubt this was an Islay with clear stamp of peat. Yet had a curious for combining burnt maple bacon with green asparagus, Crêpe Suzette with cherry liquor flambé! Each was distinctive, unique and completely worth trying! This entry was posted in Campbeltown, Highland, Island, Islay, Scotland and tagged Cask Strength, North Star by Carissa Hickling. Bookmark the permalink.